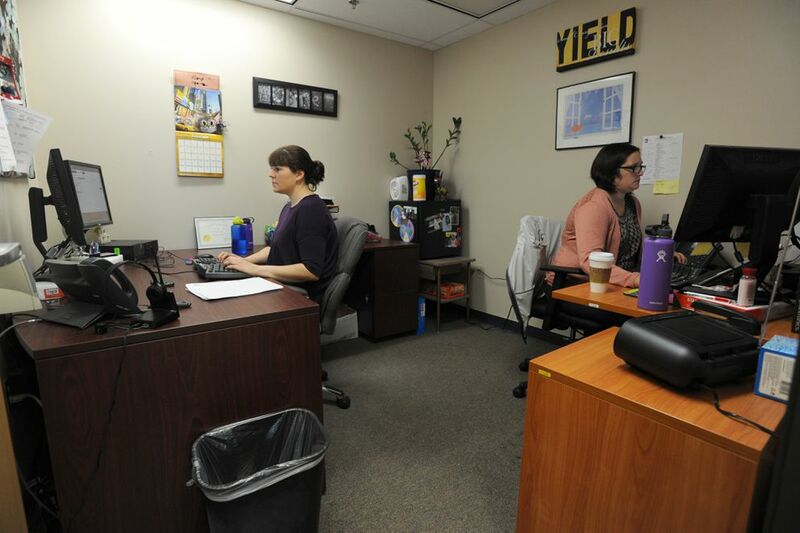 Alaska's child protective service agency is launching a new statewide phone hotline to deal with an ever-growing tide of reports of child abuse and neglect. Starting now, people reporting suspected abuse can call a centralized hotline number, 1-800-478-4444, the Office of Children's Services announced Wednesday. 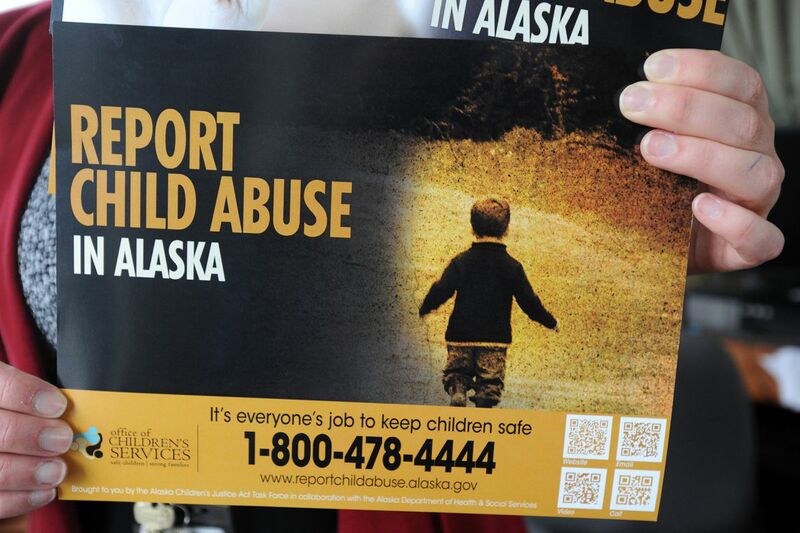 There's also now a single email for reporting abuse: reportchildabuse@alaska.gov. The strained agency is getting more and more such calls: By the end of July, OCS had fielded nearly 11,000 reports that children in Alaska were being abused or neglected. That's an average of over 50 calls per day. If that pace continues, by the end of the year OCS will have received about 20 percent more allegations of abuse than in 2014, according to the agency. Reports range widely, but allegations of neglect are most common. Most involve parents using drugs or alcohol. One recent report shared by OCS involved a mother who gave birth and tested positive for meth, heroin and marijuana and refused substance abuse treatment. The person reporting her said the mother fell asleep holding her newborn, who hit his head. She was seen nodding in and out of sleep and "scratching her skin excessively" in the hospital, according to a summary of the report provided by the agency. "The mother reported being homeless and feeling unsafe on the streets. She received minimal prenatal care and reports that she is not ready to care for a baby," the narrative said. Such allegations launch OCS investigations that can lead to children being removed from their homes and placed into foster care. The agency says the majority come from "mandatory reporters," including doctors, nurses, teachers, police officers and others who are required by law to report signs of child abuse. In the past three years, they have been rising steadily, driven at least in part by a mounting opioid abuse epidemic. The number of allegations over the past 12 months represents an increase of about 11 percent over the previous period, said Lindsay Bothe, the agency's centralized intake manager. The fallout of alcohol and drug addiction is a thread through the "vast majority" of OCS cases, Bothe said. "We don't know exactly where the increase is coming from. But the factors we're hypothesizing include the opioid epidemic and the fact that people may feel more comfortable reporting to us." Front-line workers also say methamphetamine use among parents is on the rise. The statewide hotline is part of a broader effort to standardize the way the agency responds to abuse allegations. In the past, people have had to call regional offices scattered around the state to report suspected child abuse or neglect. The agency has accepted reports by email but addresses haven't been publicized or are not easy to remember, Bothe said. When an allegation comes in, workers must decide whether to open a case and investigate further. Workers at regional offices have been responsible for that decision-making. Their choices have varied widely: Some regional offices screened in as few as 44 percent of cases, and others as high as 68 percent of cases in the same year. Data from OCS show roughly half of cases are "screened in" for further involvement statewide. Alaska's average rate of cases "screened in" is under the national average of 60.7 percent. Now a team of 15 workers and three supervisors in Anchorage will make the initial decisions. Anyone who calls the new number will be able to speak to an on-call intake worker, even after business hours. Running all reports through a centralized office will lead to "consistent decision-making" when it comes to how an allegation is followed up on by workers, Bothe said. People who report abuse or neglect have a right to be notified if the allegation has been found to warrant further investigation or not. Families who have been the subject of an allegation that isn't "screened in" for further investigation, aren't notified. The agency is strained under a mounting caseload. Over the past five years, the number of OCS cases statewide has increased by 50 percent, agency director Christy Lawton wrote in a June response to a scathing report by the state ombudsman's office documenting what the authors called agency failings in two cases.